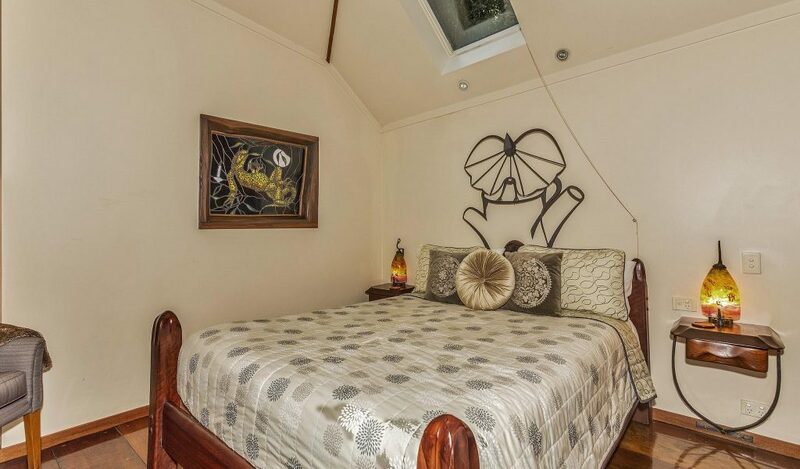 Our Lizards Lair cabin really does make you feel like you are in your own little lair; from the moment you walk through doors, with their special frill-necked lizard carved into them, you will know that you are entering your own special and secluded little den. 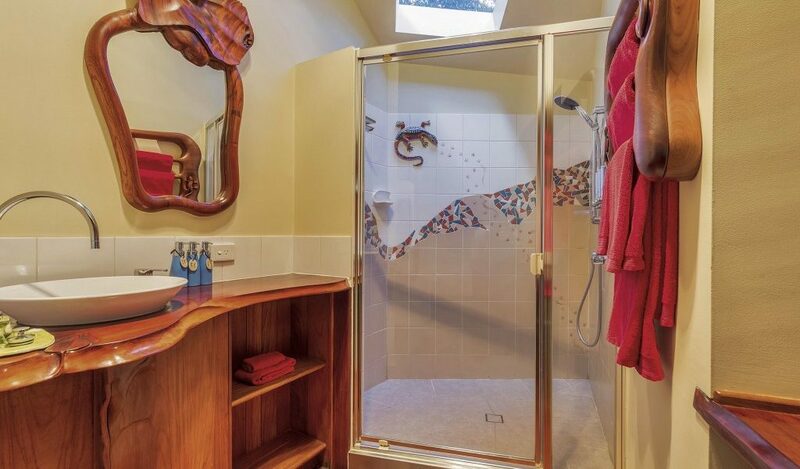 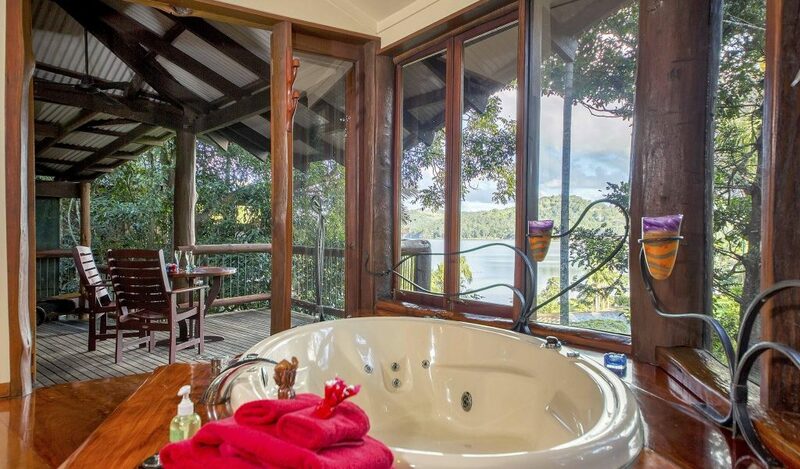 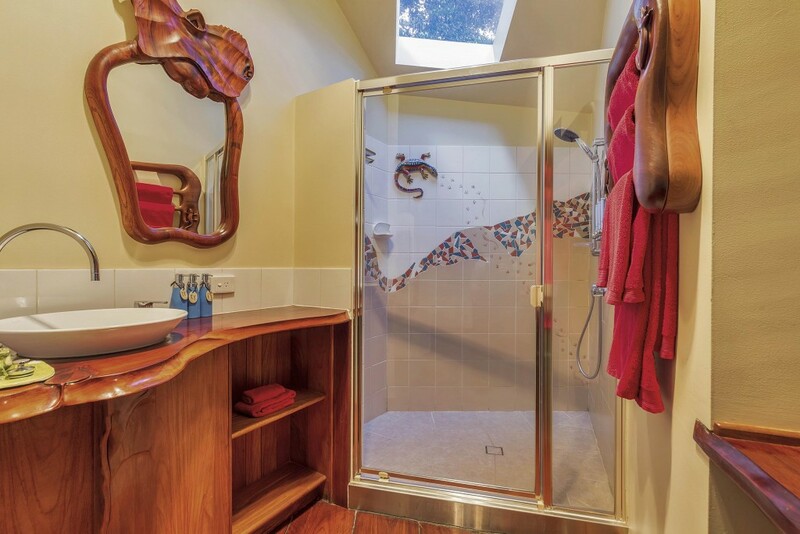 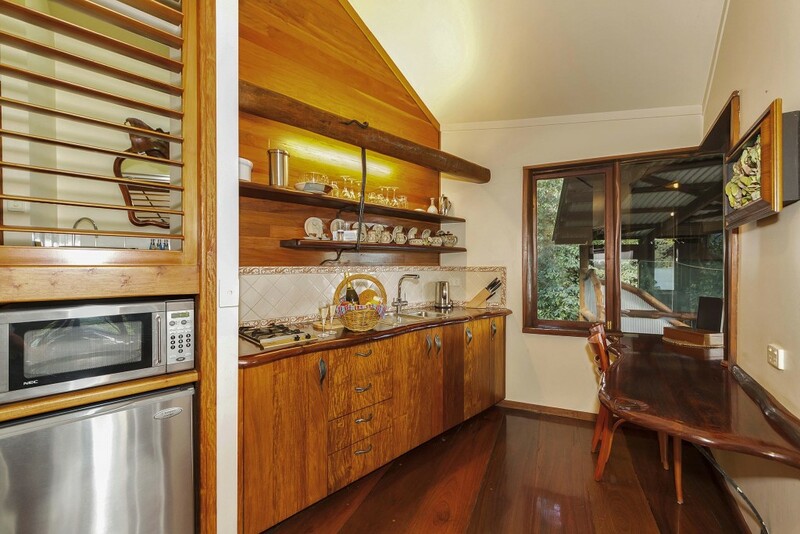 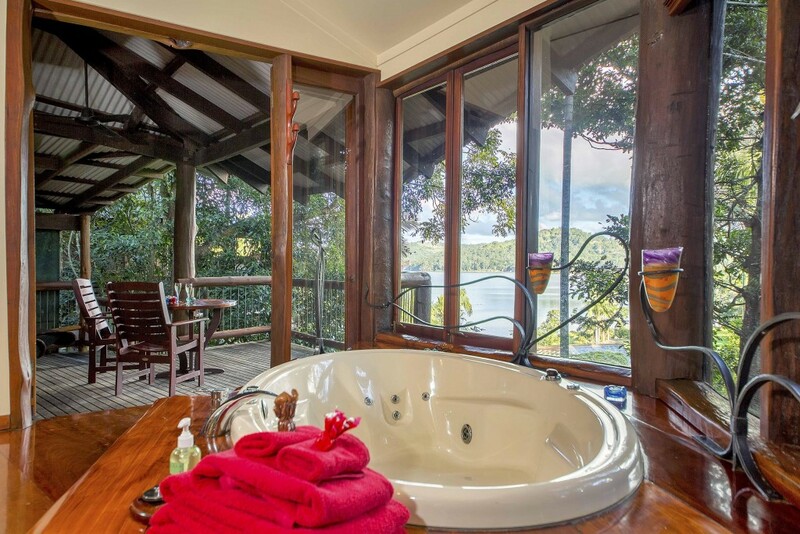 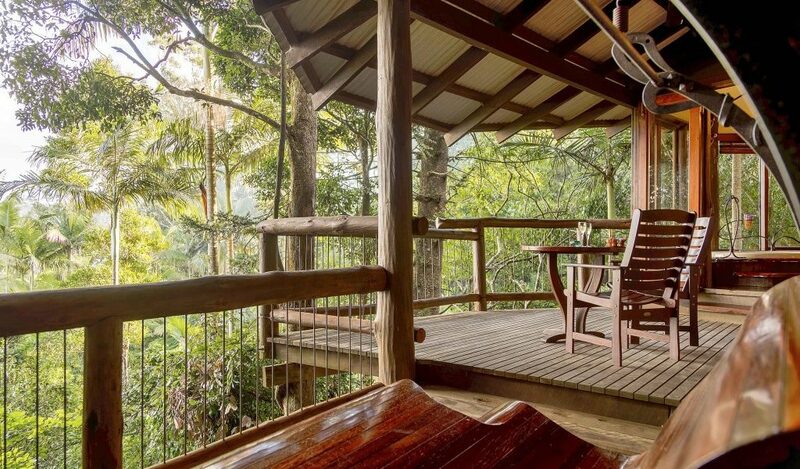 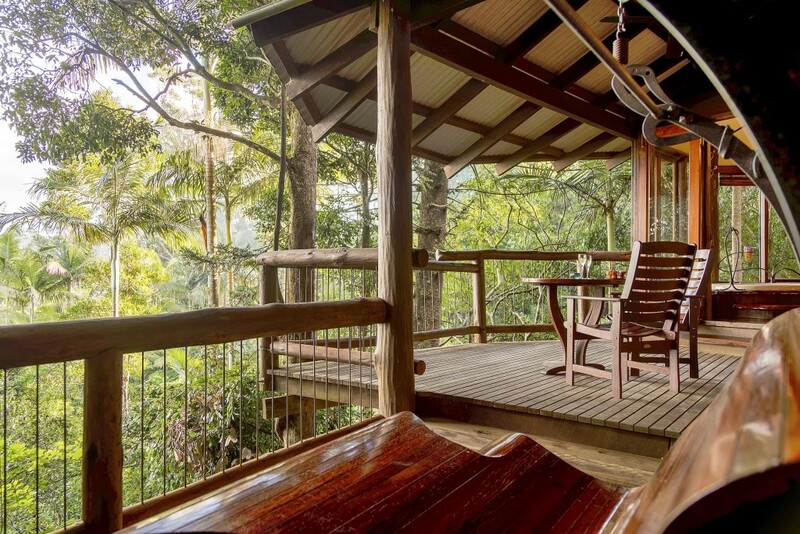 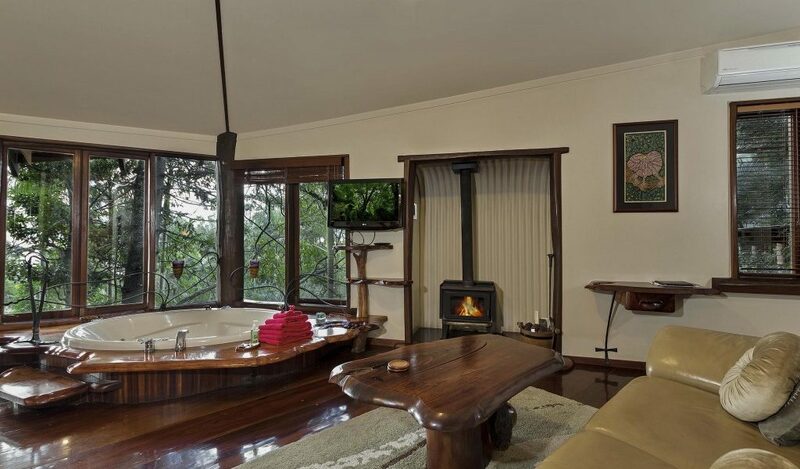 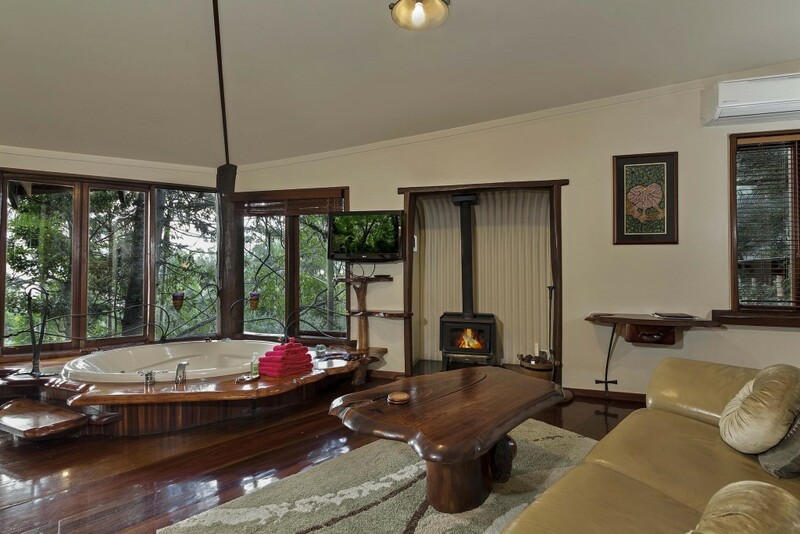 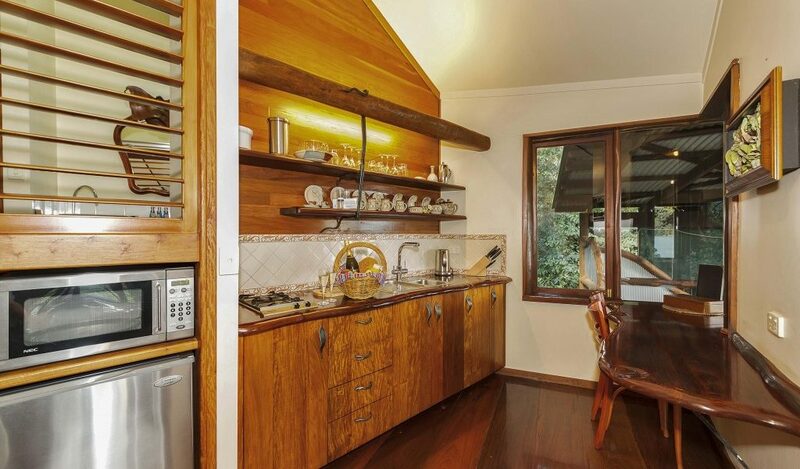 Featuring wide recycled red gum floor boards that add a feeling of richness and luxuriousness to the cabin, the Lizards Lair is full of beautiful and hand-crafted wooden carvings, ceramic wall art and iron wrought features. 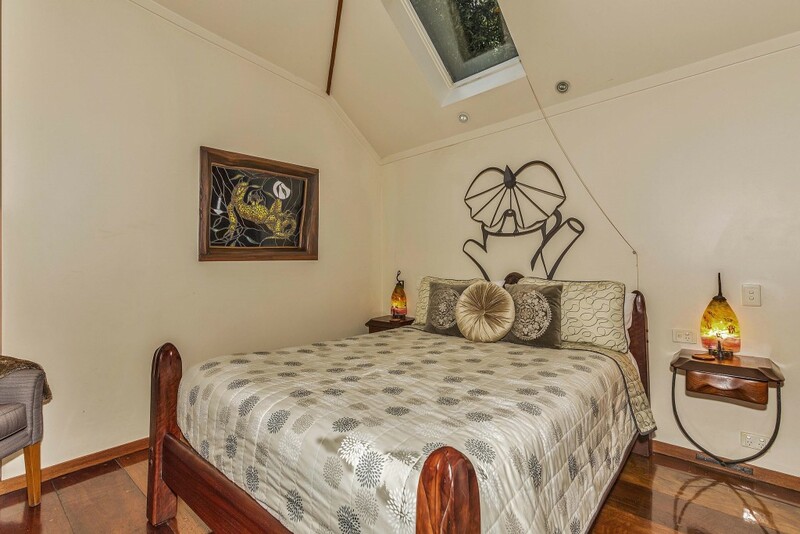 With an amazing lake view that you will even be able to see from your bed, this cabin is a cosy yet spacious haven for you to spend your romantic escape in.